WSU Pierce County Extension provides accessible and reliable research-based nutrition, food safety and preservation information for the public. We value diversity and strive to build on the assets of the individuals, families, and communities we serve. It’s Farmers Market Season! Learn where to shop for fresh, local foods in Pierce County and how to save money at the same time! The Expanded Food and Nutrition Education Program (EFNEP) is a unique program that helps promote healthy eating and money saving food options. For more information about EFNEP in Pierce County, check out the webpage or contact Melissa Casey at melissa.casey@wsu.edu or (253) 798-3227. 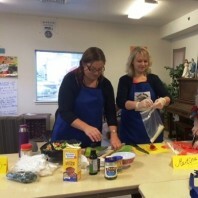 WSU Pierce County Extension provides nutrition education programs designed to provide limited income families with the knowledge and skills to include healthy foods and activities into everyday life. 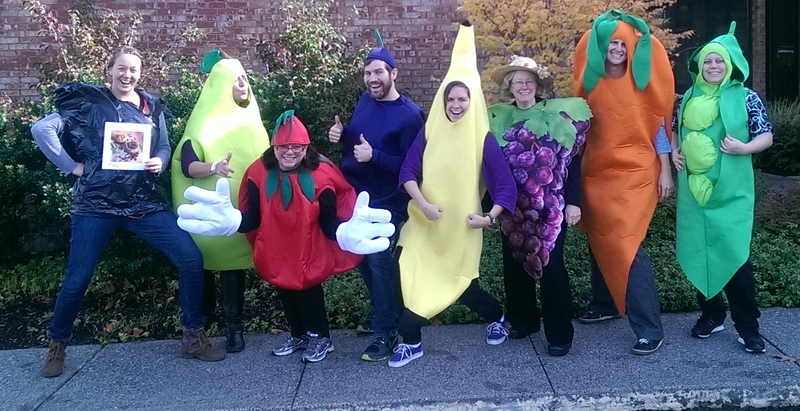 SNAP-Ed teaches youth in low income schools, and adults in community based settings, to identify healthy patterns of eating and physical activity through interactive activities and teaching simple food preparation skills. For more information about SNAP-Ed contact Linda Mathews (253) 798-7154 or lmathews@wsu.edu. Reasonable accommodations will be made for persons with disabilities and special needs who contact Linda Mathews SNAP-Ed Program Coordinator, at lmathews@wsu.edu or (253) 798-7154 at least two weeks prior to the event. Food pantries and food banks are being increasingly popular as places where people experiencing hunger get food. The foods offered at food banks have a reputation or history of being shelf-stable items that can be higher in fat and sodium, which aren’t healthy choices. Also, food banks can be difficult places to visit because families or adults may feel embarrassed they need this important source of food. Food bank environments may serve as an opportunity to offer fresh fruits and vegetables and a positive atmosphere to local families, adults, and children who don’t have enough to eat. This toolkit was developed by members of the WSU-Extension Pierce County Office in partnership with researchers from Colorado State University-Extension as part of the Regional Nutrition Education and Obesity Prevention Center of Excellence-West (RNECE-W). Pierce County has the following nutrition programs. 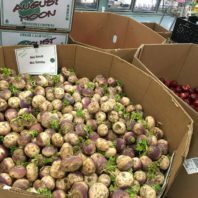 Turnips available at a food bank. 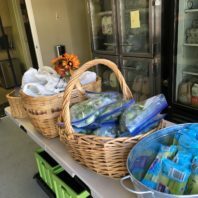 Fresh greens and celery available at a food bank. 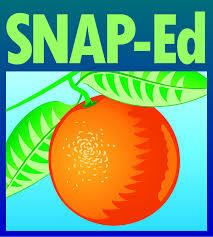 Nutrition education by SNAP-Ed with adults. 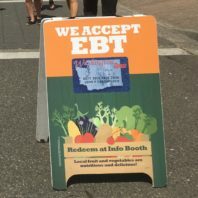 Local Pierce County Farmers Markets accept EBT (food stamps)!